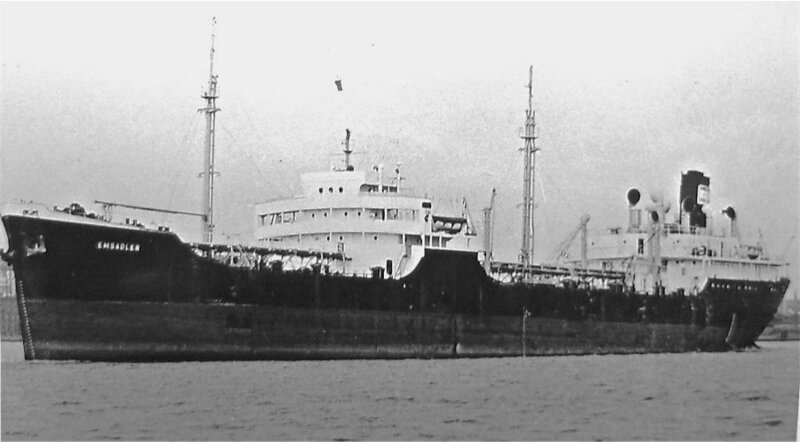 1960 "Emsadler", Emder Tanskschiffahrt Gmbh, Germany. 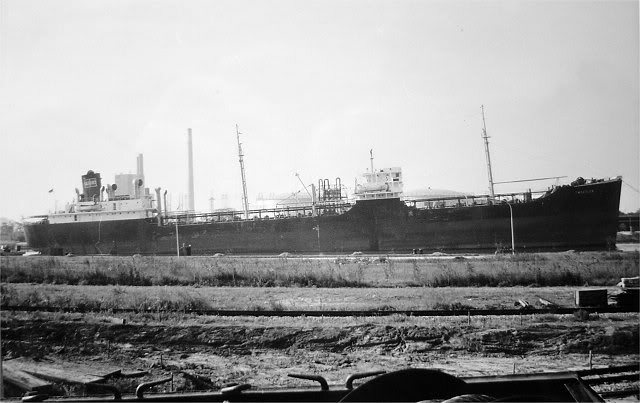 The Miramar Ship Index for "DREWRY'S BLUFF"
Scrapped at Castellon 06.10.1966 [ By Industrial y Comercial de Levante ]. 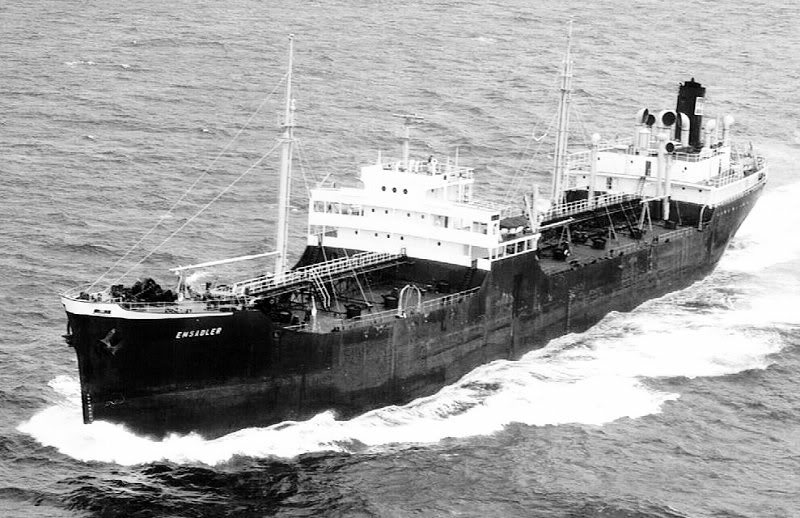 "Emsadler", ex "Gulfbrand", ex. 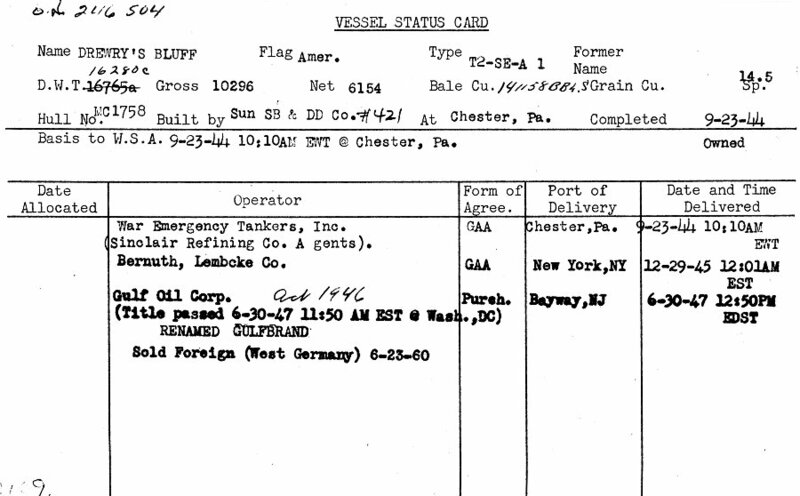 "Drewry's Bluff". 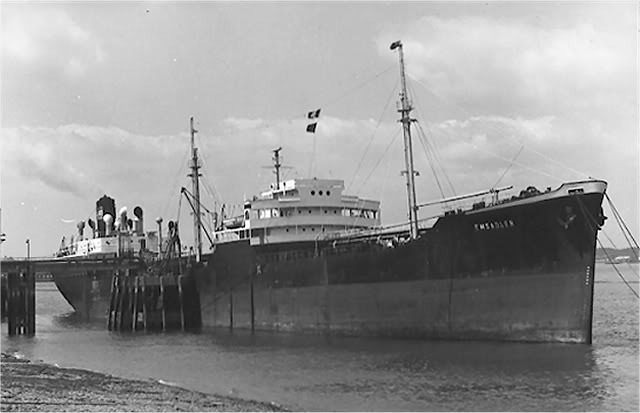 "Emsadler", ex "Gulfbrand", ex. 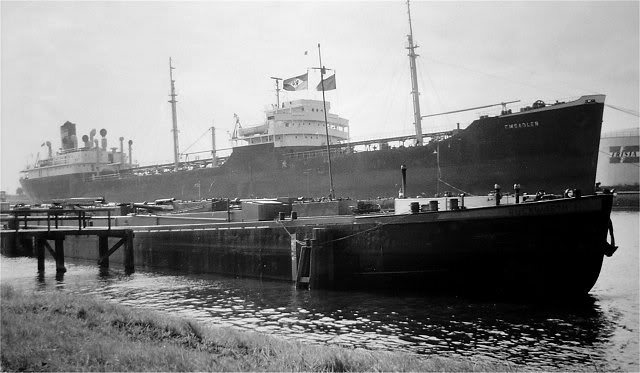 "Drewry's Bluff", September 1966, Emden,( Germany). 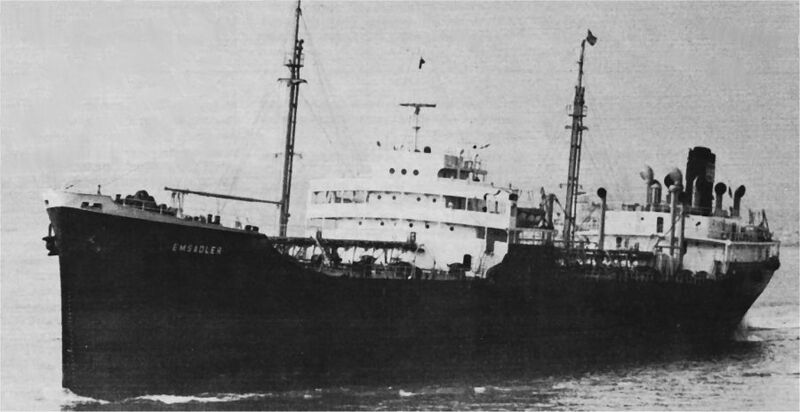 "Emsadler", ex "Gulfbrand", ex. 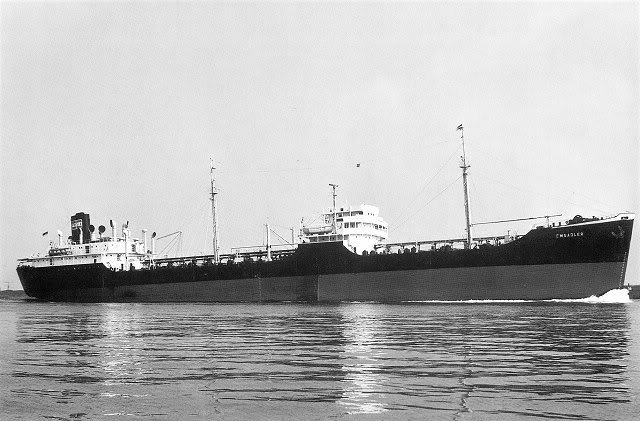 "Drewry's Bluff" ( Silhouette-drawing ).